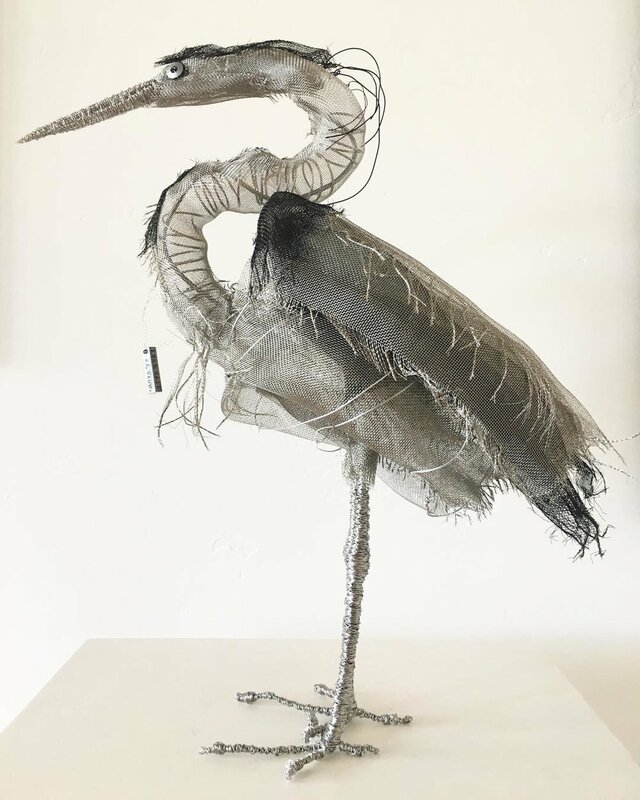 My wire mesh sculptures of birds explore the idea of abstract pieces of wire mesh assembled into shapes and poses we recognize as the majestic great blue heron or the mischievous raven. The birds appear shiny and reflective in direct light and in contrast, with back lighting, the layers and (intentionally) mysterious interiors of the birds are revealed. As lighting changes throughout the day, the birds appear to change. The mind’s eye goes back and forth looking at these different views. 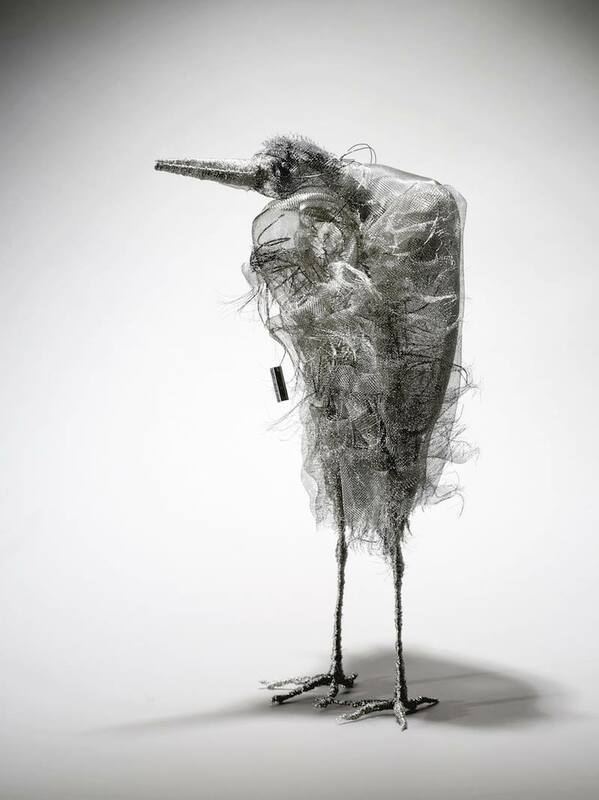 This is the intrigue I like to create in my wire mesh sculptures. Naming my sculptures is also very important to me. They are not predetermined but come to mind as the sculpture is being created and the pose takes shape. The titles given to these pieces are of an endearing whimsical nature, arising from an anthropomorphic interpretation of the final pose.